Clogged pores can happen to even the clearest skin, sometimes occasionally and sometimes as part of a predictable pattern. Clogged pores occur when oil or dirt stays on skin too long and is absorbed, causing the pore to be blocked. When pores are clogged, skin may feel irritated or have marks and redness in some places. One of the biggest causes of clogged pores is going to bed with makeup on. If you can only do one thing for your skin, be sure to wash off your makeup at night. Even sleeping on a dirty pillowcase can cause clogged pores, so change the sheets right away if you do forget to wash makeup away one night. Environmental factors like chlorine from swimming pools, long hot showers, and secondhand smoke can also lead to clogged pores, mostly from overdrying the skin or exposure to chemicals. Even prolonged exposure to air conditioning can take too much humidity out of the air and leave skin dry. Dry skin overproduces oil to cause the clogging. Foods are something else that can cause clogged pores, although not necessarily the foods you may think. According to Today Style, chocolate is not a cause of clogged pores, although caffeine, sugar and dairy are pore-cloggers, mainly because of the inflammation they cause. If you can't avoid these foods, minimize them to keep skin clearer. Stress is a major culprit of clogged pores, since it causes hormone changes that lead to more oil production. According to WebMD, stress can't cause acne on its own, but it worsens existing acne and makes flare ups worse. --Washing your face twice a day isn't really necessary unless it feels greasy in the morning, and you don't want to overdo it. Wash at night to remove makeup, and in the morning, just splash with cold water. --Avoid chemical-laden face washes and moisturizers. Parabens and silicones may feel nice on skin, but they can mess with the delicate balance of skin and set off pore-clogging oils. --Use powder foundation instead of liquid. If you must use liquid, a lightweight BB cream will let skin breathe and add to its balance instead of covering up pores with a heavy layer of makeup. --Exercise more. Exercise improves blood circulation, which helps keep skin clearer. --Exfoliate, but not too much. Removing dead skin cells is good, but stripping away oils that protect skin will lead to overproduction and clog the pores even more. --Give skin vitamins. Eating whole foods instead of processed ones and avoiding sugar is always healthier. Plant extracts like noni, a potent tropical fruit that has been shown to help balance skin and reduce inflammation, can heal the skin and unclog pores. 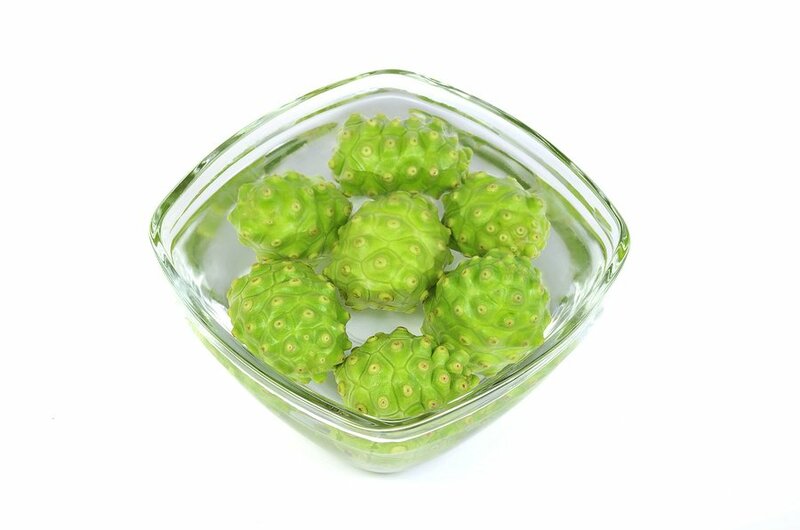 Noni is a tropical fruit that balances skin and heals redness. Biconi's Radiant Skin Facial Cleanser contains noni and virgin coconut oil to add vitamins and antioxidants to skin. Like all Biconi products, it is free from chemicals that could further harm skin.